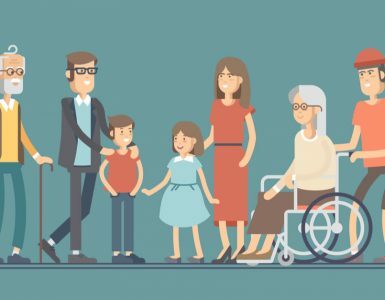 Now that you or your loved one has warmed up to the fact that a power mobility device can have a positive impact on life – keeping you in that bingo game, going out to dinner with friends, attending the family BBQ — the decision as to which power mobility device is the right one can be confusing and overwhelming. What’s the difference between a Power Scooter or Powerchair? There are many differences between a Power Scooter and Powerchair. Namely, a Power Scooter is for the recreational user who may not need to use a mobility device while in the home but when they are out and about. A Power Scooter has a forward and reverse throttle on the handle bars, similar to steering a wheel, and is perfect for those with minimal mobility challenges. 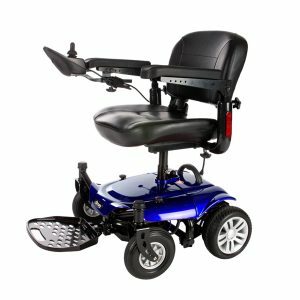 A Powerchair is robust, steered by using a joystick and comes standard with a variety of comfort features. A Powerchair can manage different terrains and can hold a maximum weight of 450lbs. A powerchair is often used for those who need permanent mobility assistance. Why would I choose a Power Scooter? Why would I choose a Powerchair? There are a wide range of choices when selecting a Power Scooter or Powerchair. 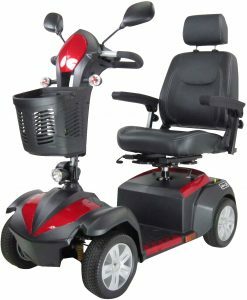 The user will need to select among features, including tire size/suspension, seat size and width, turning radius, foot plates, removable/chargeable battery, heel loops, ease-of-portability, weight capacity and top-speeds. This doesn’t include the accessory options, such as a cup or cell phone holder, USB charging ports, mirrors and baskets! 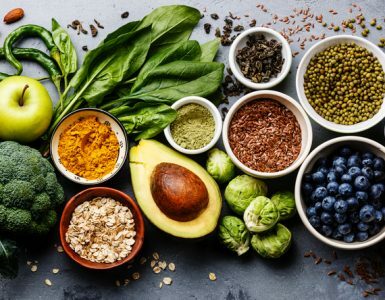 To help you make this decision, visit a local power mobility provider found here, they have the expertise and knowledge to guide you during this purchase. While visiting a local provider, you can also test drive a power mobility device to determine the right mobility device for your lifestyle.